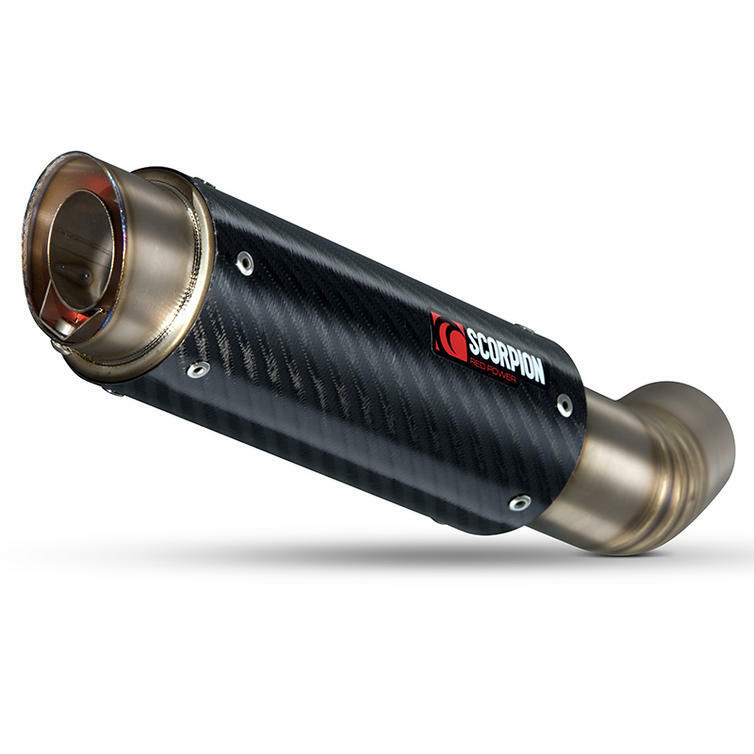 Now available from GhostBikes is the Scorpion Red Power Exhaust. 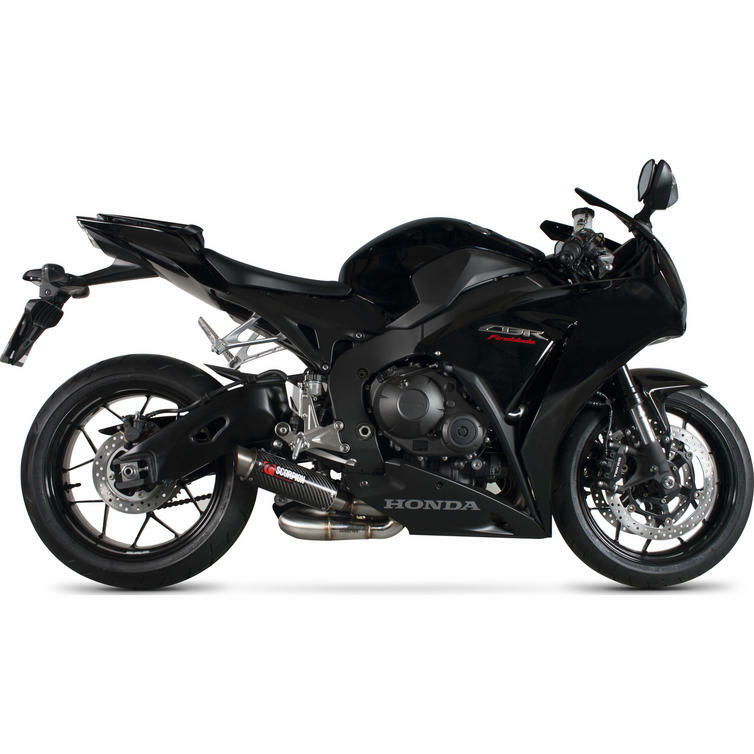 This particular exhaust will fit a Honda CB 1000 RR 2014 - 2016. Red Power evokes the passion, performance and heat of competition drawn from over 20 years of motorsport tuning and racing success. It embodies Scorpion's drive for continuous engineering superiority, product and performance refinement, and above all sheer riding and driving enjoyment. Red Power also gives you the comfort factor that the system you have specified has been hand crafted by a Scorpion automotive engineer in the UK - not mass produced in the far east like many of todays most expensive brands whose popularity is simply the result of paid endorsements, media manipulation and advertising hype. 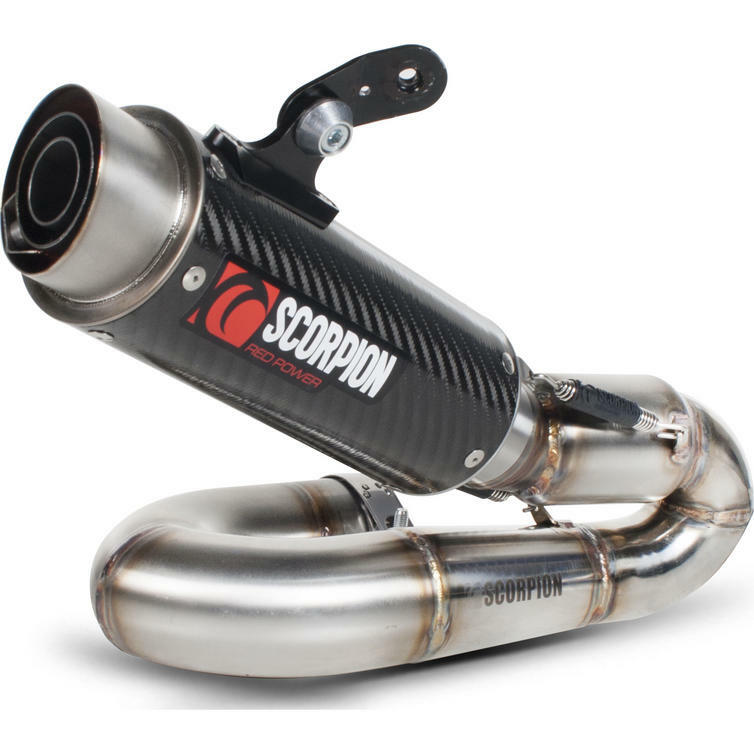 Treat your bike, Get a Scorpion Exhaust System from GhostBikes today! If any product range typifies 'RED POWER', the GP series does - and how! This stunning range of competition-derived silencers brings genuine race technology into the road market for the very first time. The GP series typifies our levels of expertise and craftsmanship, boasting materials that wouldn't look out of place in a Superbike paddock. 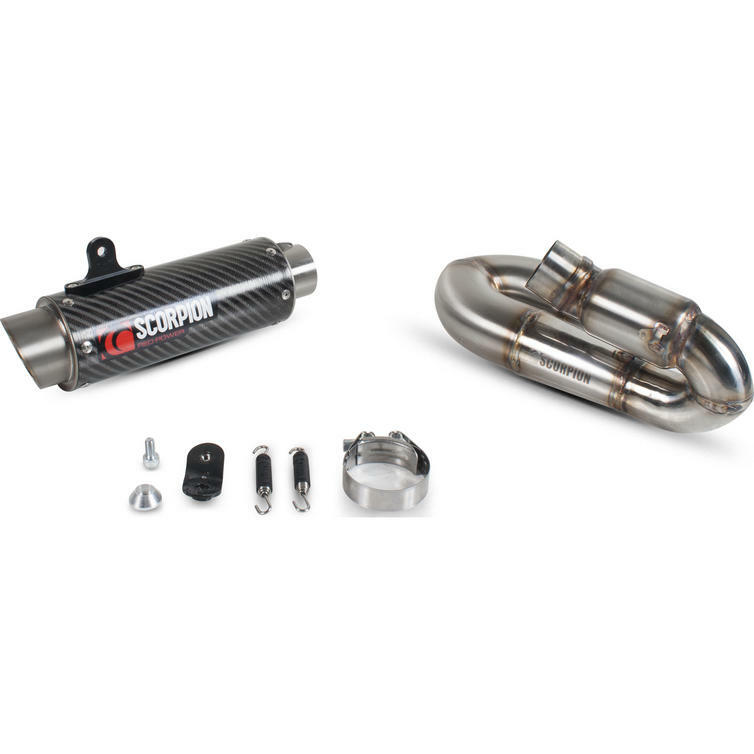 The silencers are hand fabricated using aerospace grade satin titanium or carbon fibre composites and feature a carbon composite pipework cover where applicable. Guarantee. 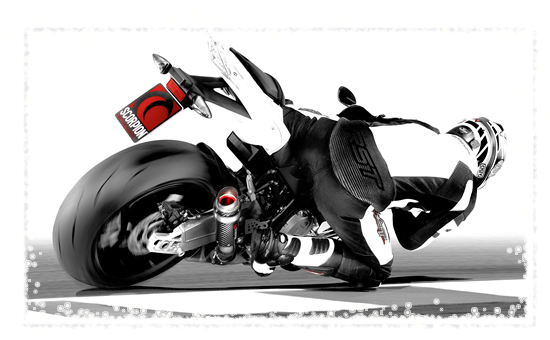 All Scorpion road bike products are guaranteed for life. Off Road and Scooter products are covered by our 1 year manufacturers guarantee. Crash Damage/Impact Guarantee. We offer a 50% discount on any crashed damaged product, you must be the original purchaser and your claim must be on a like for like basis, one claim per person. Please note this crash damage guarantee does not apply to Off Road product. Fuelling. 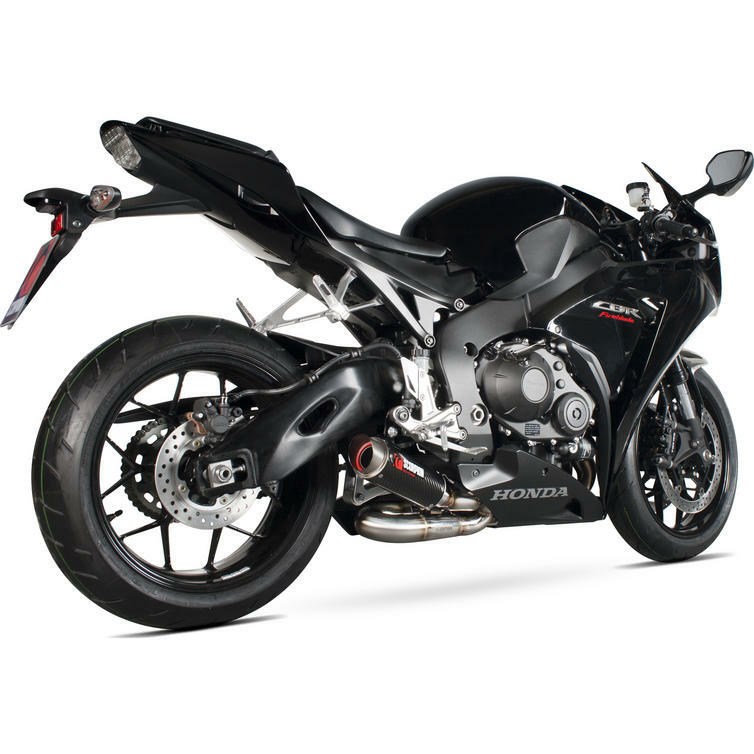 All Scorpion products are Dyno developed which means that no fuelling modifications are necessary when fitting our products. Fittings/Instructions. All scorpion products are supplied with everything needed to fit and ride, along with parts drawings and picture Instruction where necessary. Cleaning/Caring for your product. Wash with warm soapy water, allow to dry/wipe with a soft clean cloth. Never use abrasive or solvent based products.